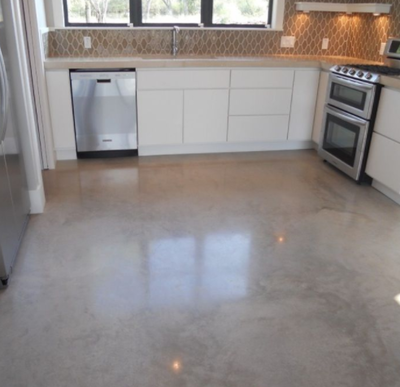 ​If you need a new flooring option and are looking for something that can get you excited again, consider a decorate concrete. 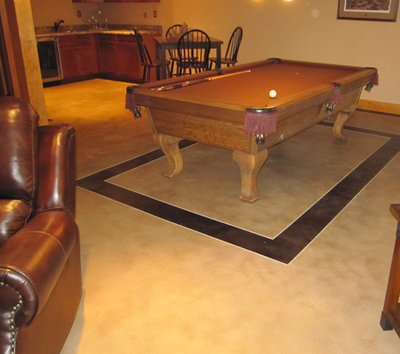 You may only think that your options are tile or carpeting and be surprised to hear that there is another option available to you, decorative concrete. If you have been looking around for something for a while but every time you find something that you like or want, you are told that it has to be ordered and that it will take a couple of weeks to arrive. 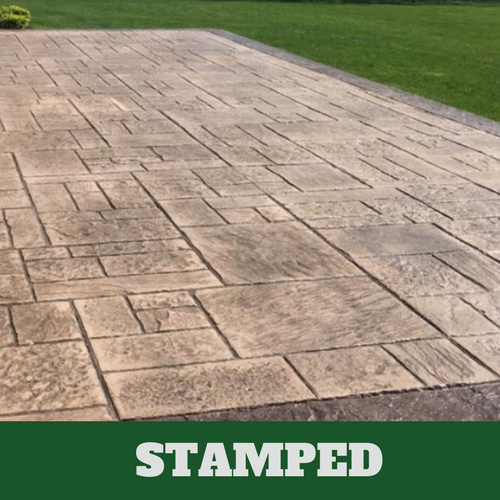 You will never have to worry about this when you contact Evanston Stamped Concrete. 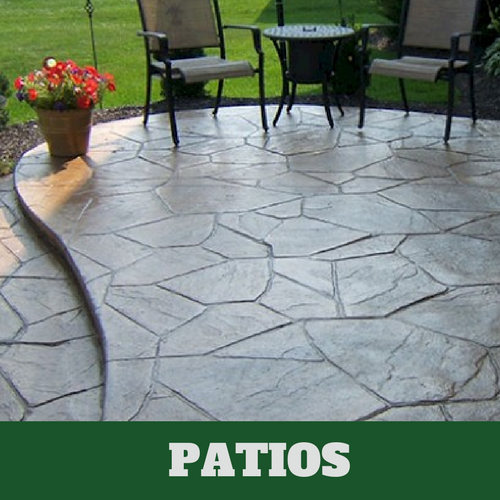 We have all that we need to get started on your decorative concrete right away. You will be able to decide which designs appeal to you the most once our contractors have had the opportunity to show you exactly what your many options are. 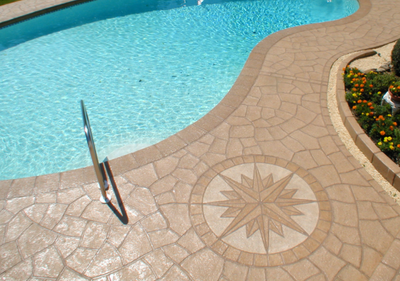 You’ll be able to choose from some of our most popular designs, such as granite, marble, brick and stone. 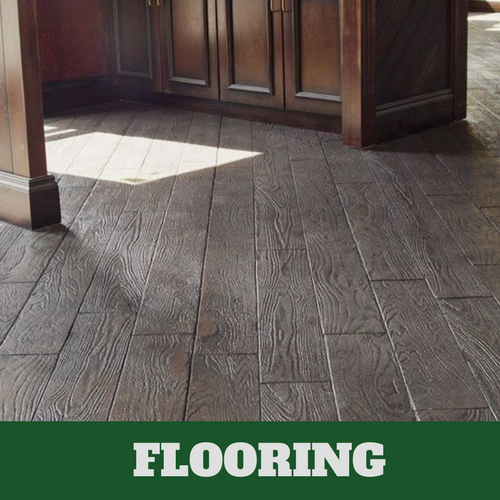 You may have noticed this type of flooring in office parks, stores, and restaurants but you may not realize that you can have this same type of flooring installed in your homes. We are here to tell you that you can and we are just the ones to provide it to you. 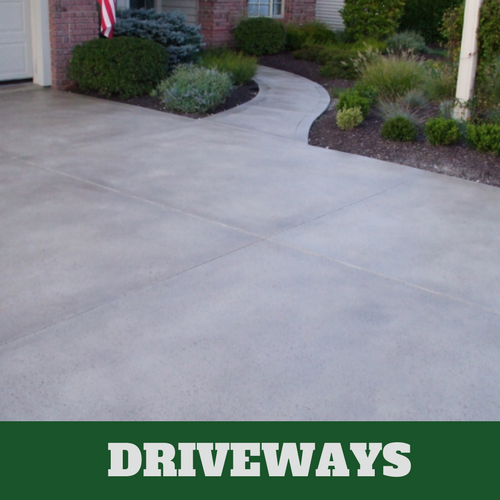 Decorative concrete stains last for a lot longer because the stain penetrates the concrete, which means that it will be long-lasting. 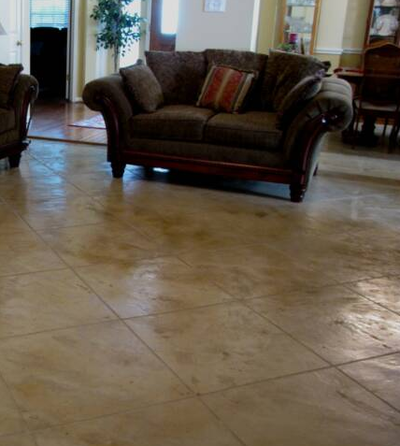 A variety of decorative stains can be applied to your floors to achieve the look that you would like. Even if you have newly installed flooring, we can also apply a nice stain to it to change the entire appearance of your floors. 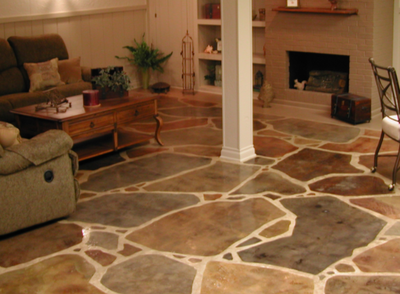 When applied to an existing floor, the natural beauty of it is brought out. 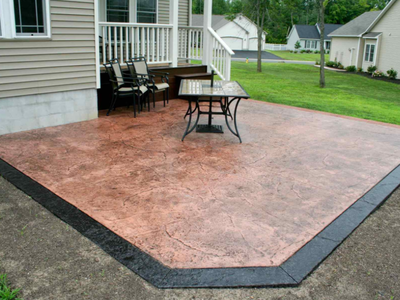 We can even apply a stain to your stamped concrete floors, adding just the perfect amount of interest. When we begin to mix different stains, we’re able to create some of the most unique color combinations. The designs are simply numerous. 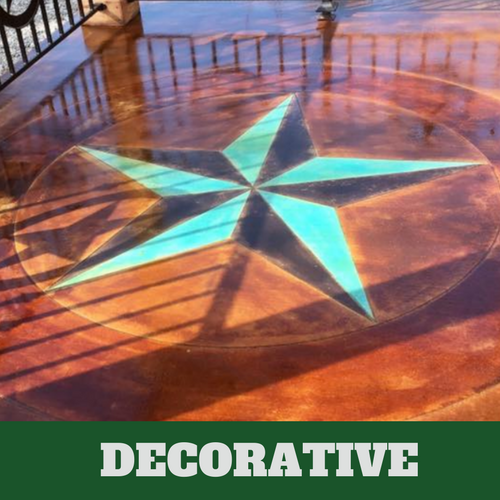 You don’t have to settle for something that you are less than impressed with when Evanston Stamped Concrete can offer you a lovely floor with decorative concrete. 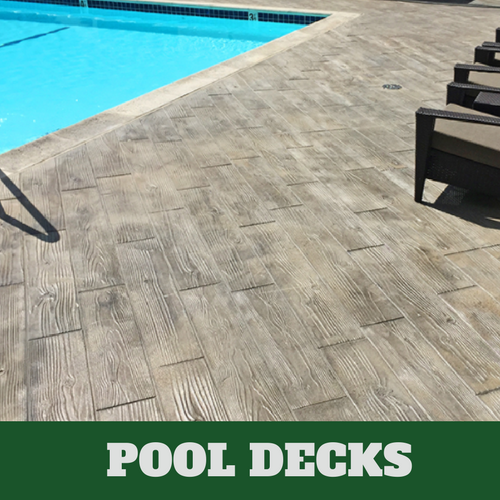 While it is true that decorative concrete is beautiful, there are plenty of other reasons why this type of application is requested. 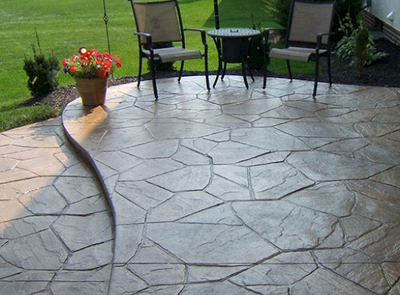 Since it is a stain that absorbs into the concrete, you don’t have to worry about it fading. It also will not peel or chip. When applied, if you have bright colors, they remain this way. It is easy to maintain and prevents slips. 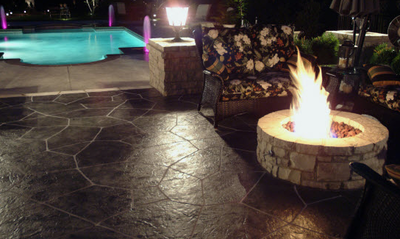 These are some of the most compelling reasons that our customers request decorative concrete. It does not matter how detailed you would like for the design to be, we assure you that our design team can handle it for you. 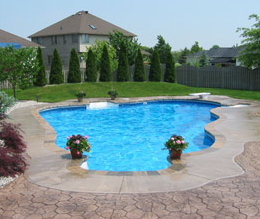 There is no request that is too difficult for our professional concrete contractors to handle for you.